Asclepias tuberosa, commonly known as Butterflyweed, is a species of milkweed that has both extremely attractive flowers as well as important ecological values. As a larval host for the Monarch (Danaus plexippus) and Queen (Danbaus gilippus) butterflies, this plant is vital for their life cycle. 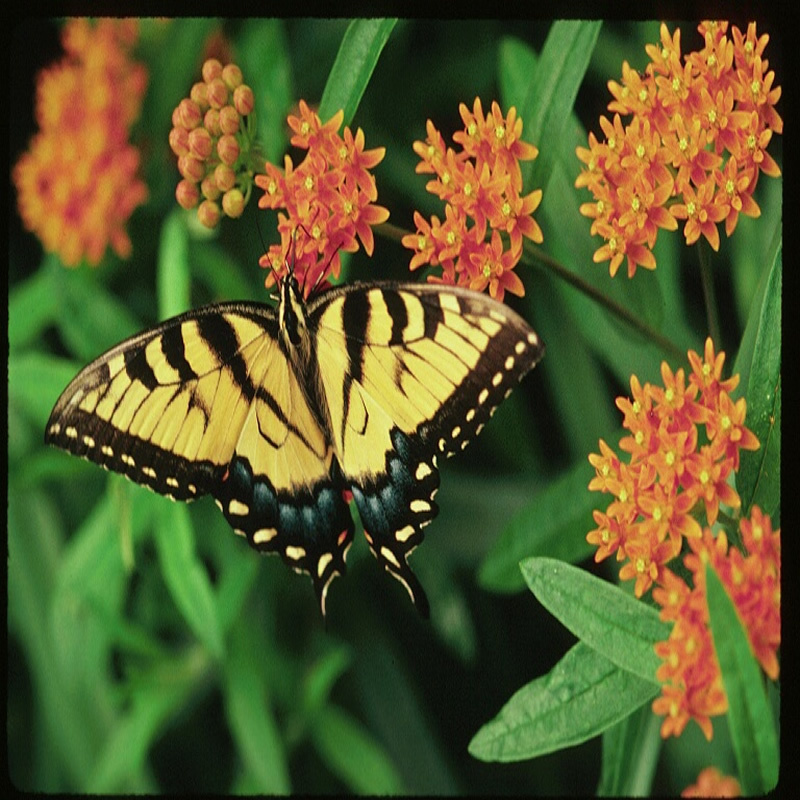 Butterflyweed also serves as a great nectar source for honeybees and a variety of native bees. This tuberous, native perennial can grow 1.5 to 2 feet tall, making it great for the edges of perennial wildflower beds. Clusters of orange flowers bloom from June through August. Butterflyweed grows best in full sun and dry to moist soil although it can withstand drought and still performs well in poor soils. Just like most milkweeds, this species can be susceptible to aphids, but it is deer resistant. This milkweed is native from Maine to Florida, and west to Utah and California, leaving it native to all but 6 of the contiguous United States. It is hardy in zones 3-9.